Petnet, a tech pet care company, launched SmartDelivery last month, and the service could signal another potentially significant detractor from brick-and-mortar grocery revenues. The company builds on digital delivery—no new threat to traditional—however it offers add-on options, the SmartFeeder and SmartBowl, that make the pet-feeding process an absent-minded activity. Subscribers that purchase the SmartFeeder can schedule feedings for their pet through the service’s app. 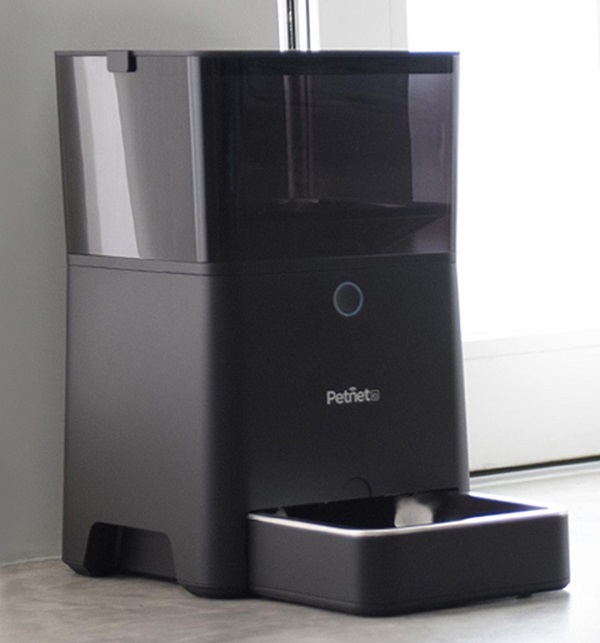 The feeder releases a set amount of food remotely and also alerts the pet owner when supplies are running low, prompting her to order more food through Petnet. The SmartBowl serves as a digital scale that monitors the caloric intake of the food being served in it and allows clients to measure out ideal portion sizes for their pets. Each item coasts $149 and $49, respectively. The technology is backed by a partnership with Petco, which allows it to tap into the specialized retailer’s existing infrastructure and nationwide distribution facilities. The food itself is price-checked against other popular digital pet food retailers such as Amazon and Chewy.com. The emergence of such a service is likely not comforting news for traditional grocers. Herrera feels that the digital pet food market has yet to “hit critical mass” and its popularity will continue to grow as more potential customers test the waters. A recent FMI report, the Food Retail Implications for U.S. Grocery Shopper Trends 2017, supports that assertion and found that pet products were among the most vulnerable items in the battle with e-commerce. Petnet’s offerings up the ante, providing customers with access to about 1,500 foods, as well as tools that enhance the experience and boost convenience. “We try to fit into the lifestyle of the modern consumer, everything is in the app,” Herrera said. Herrera added that the company is working on an update that will allow the SmartFeeder to automatically order more food when the supply begins to run low. This potential new wrinkle would give customers the ability to completely automate the pet-food shopping experience.